Grazers on the Konza Prairie. There is a surprising connection between the loss of prairie habitat in the Great Plains and the fate of Monarch butterflies. They may not be iconic in the American West, but Monarchs are important pollinators and prey for other species – and their populations in the United States are in steep decline. This is due in part to changes in milkweed abundance, which is a plant essential to the Monarch life cycle. Tallgrass prairie ecosystems have traditionally supported stands of milkweed, but land use change has made the future of this resource more uncertain. A new study by Konza Prairie LTER researchers has found that common milkweed, a species preferred by Monarchs, is more successful when soil nutrients are high, there is little grazing, and there is little competition from other plants. Ideal conditions for common milkweed are associated with prairies that were converted to row crop agriculture, or in more natural systems, prairies recently burned by wildfire. Ricono and her team analyzed almost thirty years worth of data on the effects of fire and grazing on milkweed plots, and compared this to a greenhouse experiment, where milkweed was provided with different types and amounts of nutrients. While common milkweed does well in fields used for intensive row crop agriculture, other species of milkweed fair better under pasture or livestock grazing settings. 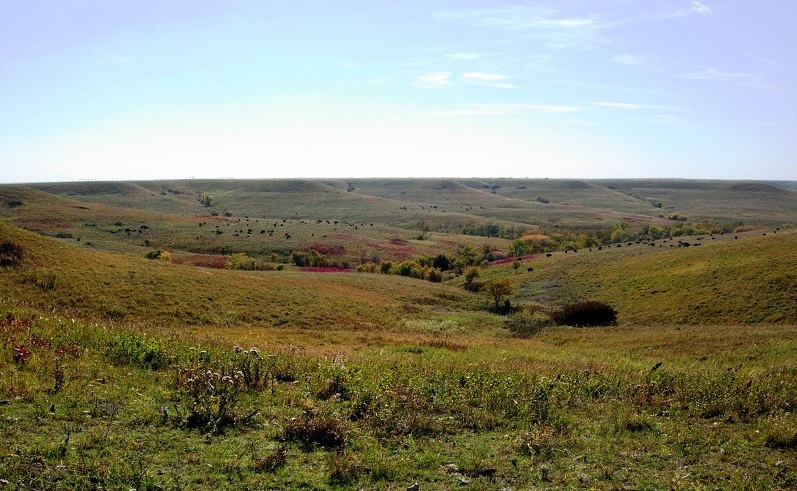 Wildfire, grazing, and agricultural conversion affect competition for nutrients and light among prairie plants by reducing plant density and allowing more light to penetrate the prairie canopy. This has been associated with higher numbers of species, warmer soil temperatures, and earlier plant growth in the spring. Subtleties like how early “spring greening” occurs make a big difference in places like Kansas, where species must cope with the seasonal extremes between frigid winters and hot dry summers. Credit: Dr. Eva Horne, Konza Prairie LTER. The Flint Hills in Kansas make up the largest contiguous prairies left in the United States. Historically, vast herds of grazers, such as bison, and wildfire have driven important cycles and processes in this ecosystem. Over time, human activity has altered the timing and frequency of these cycles. There is an ongoing need to understand both local and long-distance effects of how prairie conversion for agriculture affects the ecosystem – both for the sake of biodiversity conservation and land management. 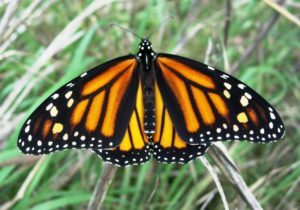 Although such altered systems may favor different species or types of interaction, they often continue to provide essential resources to wildlife, like milkweed habitat for Monarchs.